Have you been thinking about getting back into skiing? Many first time adaptive skiers are apprehensive about hitting the slopes. With the right equipment and training it is possible to ski (and enjoy it!) after spinal cord injury. "If you have been thinking about getting out and getting active this winter, skiing is certainly worth looking into. Advancements in equipment and training now make skiing accessible to a wide variety of individuals. 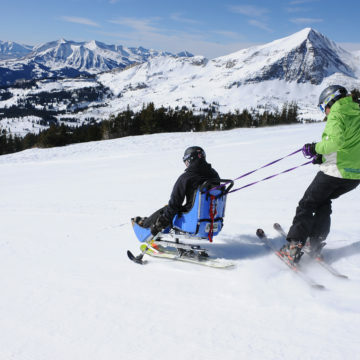 Adaptive Skiing is an amazing experience for anyone who enjoys adventure or those who just want to spend a fun day outdoors with family and friends, " says Tom Carr, director of therapeutic recreation at Craig Hospital. With the increase in adaptive ski programs throughout the country, and the advances in equipment, adaptive skiing is a great recreational activity for people of all abilities. There are many different ways to ski, both Alpine and Nordic, and different kinds of adaptive ski equipment available for adaptive skiers. 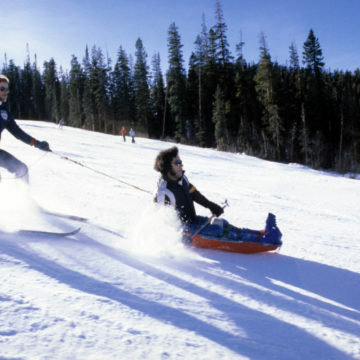 Rentals: Many adaptive ski programs have adaptive equipment rentals. Lessons: Many adaptive ski programs offer private or group lessons, as well as ski companions or assistants for intermediate and independent skiers. Ask Questions: Concerned about breaks, hydration, etc.? Work with your program to address your needs and concerns before you go. Drink Fluids: Make sure to stay hydrated while skiing. Financial Aid: Many adaptive ski programs offer scholarships for skiing. Learn more about adaptive ski equipment.